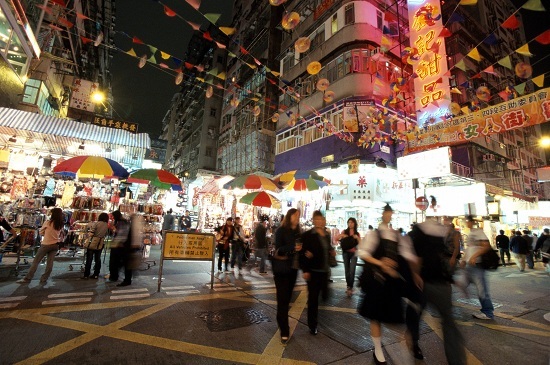 Ali McClymont tells us about the unmissable things to see and do while visiting Hong Kong. Hong Kong. A city rammed with culture and craziness. Despite being one of the most densely populated areas in the world, it still has room for some truly remarkable sights, sounds and smells. The city is a mixing bowl of modernisation and tradition – the perfect ingredients for a memorable visit. Here’s what you can’t afford to miss in Hong Kong. 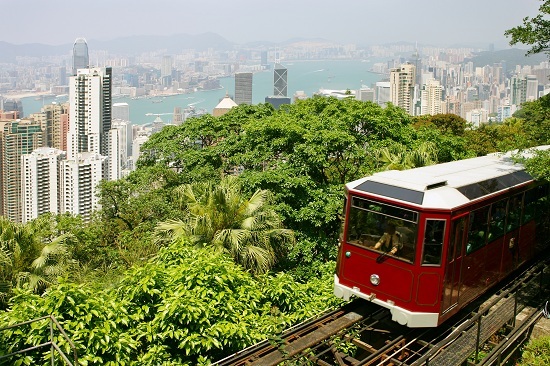 Victoria Peak is the highest point on Hong Kong Island, reaching 1,810 ft. The Peak provides the most complete and breathtaking view of the city’s skyscrapers and harbour. The view is even more spectacular at night when you can take pleasure in the famous Symphony of Lights show which involves more than 40 buildings. Getting to the top of The Peak is just as enjoyable as the view. Access is provided by a 120-year-old funicular railway which at times climbs so steeply you feel like it could topple over! The tram runs until midnight so there’s no need to stick your hiking gear on after the sun sets! The Star Ferry has been transporting locals and tourists between Hong Kong Island and Kowloon for centuries. It is worth spending a little extra to get an upper deck ticket where you can sit back and absorb the mesmerising sights and smells of this historic harbour. The ferry will bob alongside traditional fishing junks, and of course the occasional luxury yacht. The passengers are just as diverse, from the flashy businessman on your left to the market vendor on your right. The Star Ferry is a fantastic way of engaging with a variety of generations and class hierarchies in Hong Kong. Hong Kong certainly deserves the label of a ‘shopper’s paradise’. The city is home to every kind of brand-name shop under the sun, all housed in immaculate air-conditioned malls. The largest of all of these shopping complexes is Harbour City. This is found in Kowloon and is home to over 700 shops. Shopping malls aside,Hong Kong also offers a fantastic variety of custom-made products, such as shoes, suits, and jackets. There is also a thriving antiques and handicrafts industry which is best discovered on Hollywood Road. 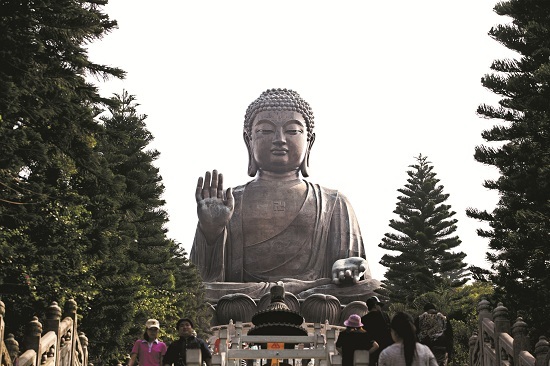 The 34 meter-high bronze Buddha is a justifiably memorable image of anybody’s visit to Hong Kong. The Buddha is found within the walls of the Po Lin Monastery on Lantau Island. The scenery surrounding the monastery is almost as breathtaking as the Buddha itself, and it offers a chance of relaxation after the hustle bustle of Hong Kong Island. The trek up to the Buddha is referred to as a ‘trek’ for a reason. You’ll have to tackle a climb of 268 steps to make it to your bronze prize. But it is worth it for so much more than just the Big Buddha – the views along the climb are magnificent. Lantau Island has a lot more to offer than the Big Buddha. 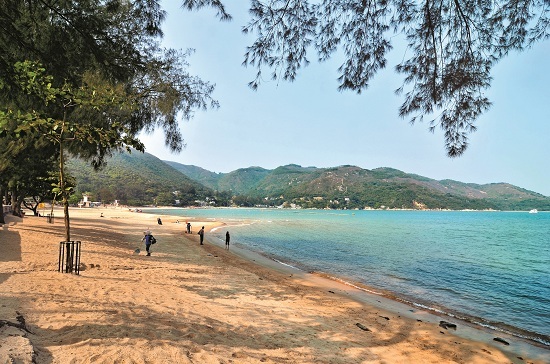 Sitting to the West of Hong Kong Island, Lantau is remarkably twice the size of its cosmopolitan neighbour. And it feels a world away from the fast-paced living found just a 30-minute train journey away. Here you will find vast, open countryside, traditional fishing villages, secluded beaches, monasteries and more. There is also the opportunity to spot the rare Chinese White Dolphins in the waters just off of the island. But don’t keep your eyes peeled for a white fin, these dolphins are naturally pink! Lantau Island is also home to Hong Kong Disneyland which is directly accessible from Hong Kong Island via the MTR train line. If you're looking for more places to visit in Hong Kong and some great places to eat, drink and shop then take a look at our things to do in Hong Kong. 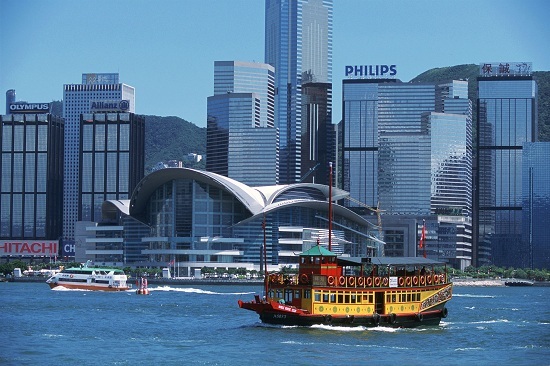 You can also take a look at our Hong Kong holidays from just £645.